Almost every business regardless of the industry in the world benefits from its size, expertise, and experience with FxPro.com pulling out all the aces in this respect. The company has consistently been at the forefront of the forex industry since 2006. Being in the forefront has meant that the company has managed to distinguish itself from the rest. The first impression that visitors get when they visit the corporate page is that of class and respect. Visitors to the official website get to choose from around 20 languages and can then have access to their service in the language they have chosen. FxPro is considered to be in the top tier of international forex brokers like IQ Option, Plus500, Pepperstone and Swissquote. 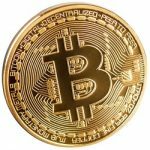 It boasts of having a large client base, an international presence and extremely high volume of trades. The UK leg of the company FxPro UK Limited is regulated and licensed by the Financial Conduct Authority. The company bears the registration number 509956. The company is also licensed by the CySEC (Cyprus Securities and Exchange Commission) as FxPro Financial Services Limited bearing license number 078/07. All aspects of the business speak volumes of its current leading position in the forex trading industry. The company has received many awards from top organizations. Over 35 different awards for things like the Best FX Broker, Best Trading Platform, Best FX Service, Best FX Tool and Best FX Service Provider, etc. The company serves traders located in 150+ countries. It is regulated by some of the strictest regulatory bodies in Cyprus and the UK. The company complies with MiFID which is required for businesses based in the Eurozone. So, we can safely say that this business can be trusted. Its practices are fully transparent with it using best practices. In addition, traders benefit from an array of options and they add new ones now and then. Plus, it offers some of the most innovative methods of using the latest technology to enhance a trader’s trading experience. FxPro employs over a hundred and fifty people which all work to ensure that traders enjoy the best service and experience. All of that hard work can be seen in the way of independent testimonials that praise the company. In addition as an active community member, it sponsors numerous team events like the EPL (English Premier League), Fulham FC, and various other global sports ventures. John Hughman, the editor at the Investors Chronicle, says that FxPro has managed to outdo the competition in the year 2014 offering a number of great trading tools and many flexible platforms which help both institutional and retail investors make successful trades. Feedback from hundreds of readers proves that investors believe that the business does, in fact, make an active effort to secure its clients and also provide products/services which are meant to make them more profitable. The only downside is that the company does not accept traders from North America. All the client funds are well segregated from the company’s operating capital in separate Tier-1 accounts with some of the leading banks across the world. The company currently offers traders 9 different trading platforms. However, don’t let the choice of platforms overwhelm your ability to choose. Out of these 9 platforms, 4 are for various mobile operating systems. Since most traders will trade on one phone at a time finding the right platform or choosing the right one is not going to be difficult. The choice between the available desktop trading applications includes the much loved MetaTrader 4 platform which is called FxPro Client Terminal for some reason and the FxPro WebTrader. After testing both platforms, we can say that the WebTrader platform is more geared towards newbie traders since it makes use of large and easy to understand sell/buy buttons. It also focuses less on charts and graphs making the interface look less intimidating to a newbie. Though the MetaTrader platform focuses a lot on charts and graphs which is perfect for a seasoned trader. 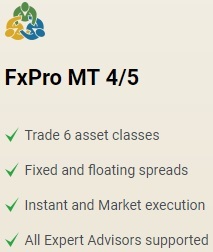 FxPro expanded the number of platforms offered with the MetaTrader 5 platform. The new platform adds an array of advanced trading features which were not part of MetaTrader 4. The features include trading directly from the tick chart, using a built-in economic calendar, and other built in indicators. Traders using MetaTrader 5 can easily customize the layout to suit their style, make analyzing markets easy with a selection of various indicators that come pre-installed. Also, various graphical icons and easier ’place orders’ make it a platform worth considering for hard-core MetaTrader 4 users. When reviewing FxPro one of the things we liked about the service is it’s easy for traders to switch from one platform to the next. The ability to seamlessly switch means that trades can be executed from any computer and not just one one which has downloaded the software. The WebTrader platform was both laden with useful data and intuitive enough to get a hang of quickly. FxPro also has a demo account which can help you decide if trading with FxPro is something worth doing. In addition to a demo account, an ECN platform is also offered for those who prefer to trade this way. The cTrader trading platform is one of the best Electronic Communication Network (ECN) platforms out there. It has been specially designed for CFDs usually gold and silver trading in addition to Forex. The platform is very powerful and easy to use, employing technology that allows traders to take their trading activities to the next level. FxPro SuperTrader which is an investment account which gives investors the chance to access the forex industry without needing to execute trades manually. The minimum deposit required to open an account is $500 for the MT4 account, and the cTrader accounts require $1000. But traders can also deposit around $100 at a time too. Professional traders who often find themselves having to juggle multiple accounts for co-traders will find the PAMM account a good fit. The PAAM account enables traders to manage their clients’ money via a master account easily. A few high net worth individuals will find that the VIP package is best suited for their high volume trading. VIP clients will benefit from free VPS service, zero deposit fees, a free Mastercard with FxPro branding and regular trading recommendations in addition to margin alerts, news reports, SMS alerts and email. People can use demo accounts for MT5, MT4 and cTrader accounts. 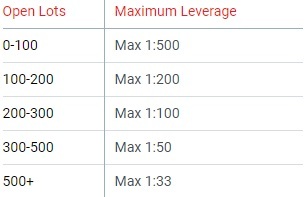 The maximum balance (free money) is $500,000, with leverage starting from 1:1 right up to 1:500. FxPro is one of the few forex brokers providing some of the best customer support in the industry. Every rep is well trained and understands all aspects of the service and platform. So, they are able to handle just about any issue that comes their way. Customer service is available 24/5 days per week. Support is also available in 18 different languages. While the company’s core product is Forex, they also offer CFD trading of various shares, Metals, Indices and even Futures. FxPro is known for its exceptionally tight spreads, zero slippage on immediate execution, high liquidity, and no re-quotes. Traders can choose between three major platforms i.e. 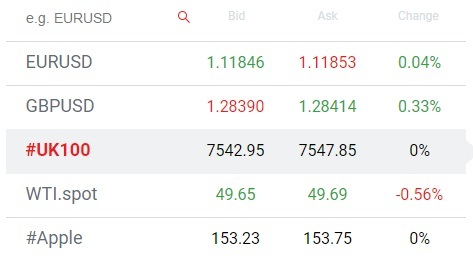 MT5, MT4, and cTrader. Traders are allowed to use scalping methods of trading and Expert Advisors. The trading platforms cater to a vast array of environments i.e. via mobile trading apps and those for computers. Accounts can be held in CHF, USD, AUD, GBP, EUR, JPY, and PLN. Customer deposits are well segregated in various Tier 1 accounts opened in a number of different banks. In addition, the investments are protected by the Investor Compensation Scheme for up to 20,000 EUR. They offer protection against a negative balance. The company provides regular network sharing, market statics, and other technical analysis ensuring that decisions are made on time. Customer support is available in 18 languages. Support can be reached 24 hours a day and 5 days per week. The company’s educational portal named FxPro Academy includes an array of material for traders which include tutorials, and trading videos in addition to strategy tips that can be used by traders of all levels. FxPro is a company which offers many different features which are meant to streamline the overall trading experience. When reviewing the business we found that the spreads are listed clearly, so it’s clear to see that the company is making an effort to offer competitive spreads. Traders using the MT4 platform can enjoy trading popular currency pairs like the EUR/USD with a spread of just 0.8 pips and leverage of up to 1:500 and guaranteed commission free trading. ECN traders also enjoy a number of advantages like great spreads and the ability to leverage 1:100. Traders will also get fractional prices and the ability to use expert advisors ensuring profitable trades. A very clear advantage of using FxPro is that traders can easily set their leverage from between 1:1 up to 1:500. This apparently allows them to capitalize on the market or to minimize their risks which depend on the trader’s trading style. Traders are also treated to many unique tools. Those who want to develop their very own EA, Quant is a technology which enables them to do just that. The Vault tool allows traders to store a certain amount which can be used for all future trades. The Dashboard is where everything that matters is displayed on one easy to understand screen. FxPro offers a variety of graphs and tools to make sure it’s users are always aware of market movements. FxPro offers a number of standard trading tools which work in addition to their Forex News alerts and analysis. The use of classic calculators like those such as margin calculator, currency converter, and a pip calculator make trading hassle free. Some other tools introduced by the service include a strategy builder. The company’s FxPro Quant gives forex traders to convert their successful trading strategies into algorithms which can then automatically run on cTrader and MT4 platforms. The big advantage of this tool is that it gives the power to code an algorithm to a professional trader but having to know how to code. Trading algorithms developed by traders using Quant are then uploaded to FxPro’s Virtual Private Server which is extremely fast. The algorithms enable traders to ensure that their strategies are being followed around the clock and without even having to turn on their computers. 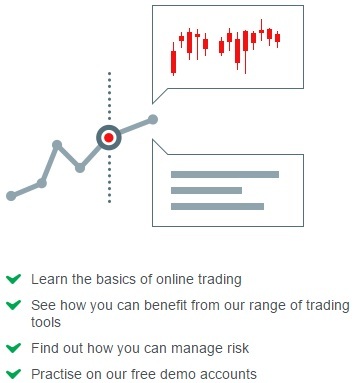 FxPro’s Trading Academy is meant to help beginners learn the basics of forex trading and trading in general. The material available is to mainly help prepare newbie traders for the challenges facing them in the world of trading. The company boasts of having one of the largest video libraries offering all types of tutorials and information on basic trading topics. The goal is to help enhance a trader’s ability to execute winning trades. New videos are uploaded fairly regularly. Interestingly, the videos on FxPro’s website go beyond just tips and using the trading platform like other brokers which is why we can say that it’s very comprehensive. Using the economic calendar traders can easily plan their day to the minute. Financial reports can be viewed along with consensus forecasts and previous results. This helps prepare traders for market turmoil up ahead. The company allows traders to deposit funds via credit/ debit card, bank transfer, Skill, PayPal, MonetaRU, Webmoney, and FasaPay. Chinese clients can use mPay, CashU, and Netbanx. Withdrawing funds requires traders to log into their FxPro Direct account and request a withdrawal. FxPro has customer support centers in 23 countries, so traders can be assured that it’s easy to find assistance by just calling their local toll free number. Traders in countries where there is no toll-free number can use other methods like requesting a callback. The company offers 24/5 customer support starting from Sunday 11 pm trough to midnight Friday in most time zones. 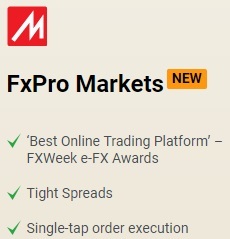 In our opinion, FxPro has the best Contact Us page we’ve seen from any online broker. The different boxes have the email, and phone number of every department. So, people sending in their queries can be assured that it will get to the right department. The customer support and platform is available in 20 languages making it accessible to everyone. In 2006 FxPro was created by a team of veteran financial experts and since then the company has grown tremendously. The broker now processes as many as 5000 trades every second with 99.9% of orders executed in just 50 milliseconds. If that’s not impressive enough the firm has multiple awards to its credit including ones for leadership and expertise in the trading and forex industry. 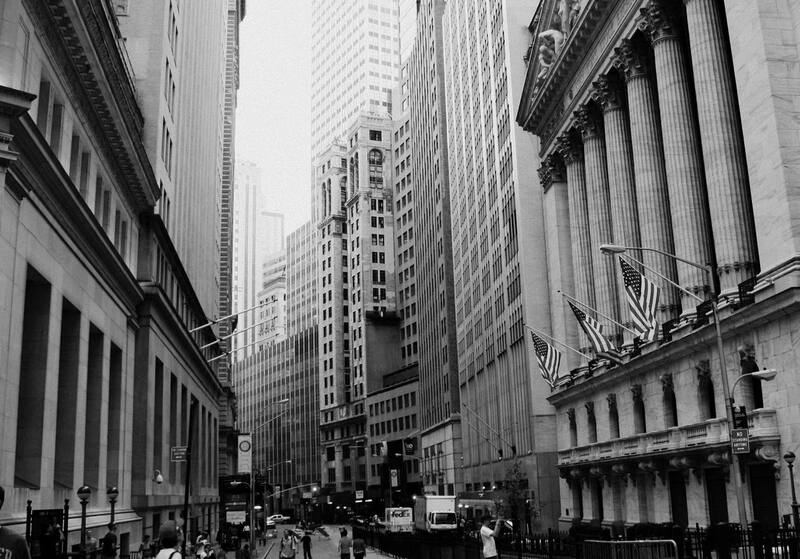 FxPro’s mission clearly outlines the fact that their goal is to offer top notch broker services to all traders regardless of if they trade small or large volumes. They also aim to teach individuals about forex trading and markets while promoting fairness and transparent practices. 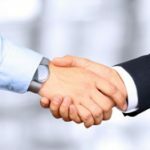 In our opinion and in the opinion of many experts FxPro is, in fact, an elite level broker and is the broker of choice for anyone seeking the best that the industry has to offer. I’ve found different information about FxPro. Often positive, sometimes negative. When started working with them i knew everything going to be perfect before first real money i will make. And only when i will try to withdraw some real cash true FxPro appears. Now i am sure i can be calm with this broker. All my withdrawals were successful. Thank you for this review. It was honest and useful for people, who are looking for a broker to work with. As a FxPro real customer i can say all pros here are real. Great customer support. Variety of trading platforms. You can choose cTrader or MT to trade with. Negative Balance Protection on all platforms is real thing either. One of my buddy has failed badly but lost only his initial deposit. Market indicators and fluctuations are fair. So yeah. FxPro is really good broker. 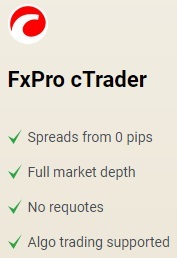 Imho, fxpro is good and reliable broker. Execution without dealing desk intervention. Generally, execution is really fast. Convenient UI, polite support, very tight spread, fast easy withdrawals and a lot of other benefits. That’s why I chose them and still satisfied. They provide quite competitive spreads, fast order execution and painless withdrawals. Totally satisfied and recommend to all! You will not regret if you choose this broker. Good broker for mobile trading.They offer quite good mobile platform. Also there several useful mobile tools like fxpro tools. There are prices of all most traded instruments, main financial news, economic calendar and forex calculators in one user-friendly app. Everything about fxpro is great, they have plenty of stocks to trade and forex too, the working conditions are very good as for me. Highly recommend – good and reliable brokerage. I personally trade with them and recommend this broker and their ctrader platform. Fast execution, absence of requotes and very convenient UI. Also good analysis and informative web site.